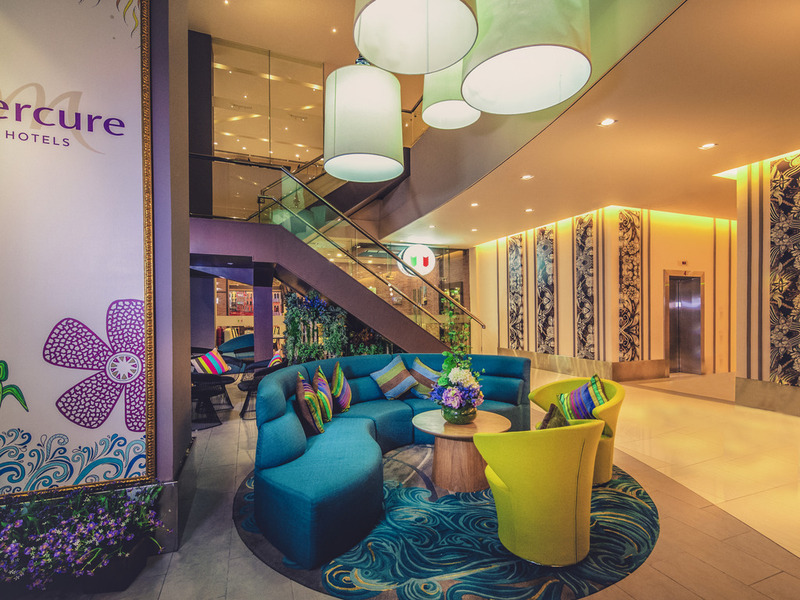 Located in Kota Kinabalu, the capital city of Sabah, Mercure Kota Kinabalu City Centre is within walking distance from banks, shopping malls, restaurants, tourist attractions and the historical Jesselton Point Waterfront. It also has easy access to the new convention centre. In addition, the hotel is only 15 minutes by car from Kota Kinabalu International Airport. Kota Kinabalu is known for its exotic history, beautiful beaches, islands, coral reefs and strategic location with an excellent range of adventure activities and world class facilities. The restaurant serves authentic Italian cuisine and is affiliated with the Fratini's restaurant in Brunei. Our modern and trendy coffee counter welcomes all the guests at the main entrance of the hotel lobby. A favourite place to meet for specialty coffee and light snacks. The trendy and modern restaurant offers International and Asian breakfast buffet, and Sunday Brunch. Located on the rooftop next to the swimming pool, guests at COMPASS can have a light snack or drink while enjoying the sunset and our house music.